Hua Hin, Thailand, 2 April 2018 — Hua Hin, Thailand’s best golf destination, is to host a new and exciting golf week for club golfers aged 35 and over. Following on from the success of the Centara World Masters Golf Championship which will be celebrating its 5th successful year in 2018, tournament organisers Go Golfing and Golfasian have combined to bring a second Amateur Golf Tournament to the region – The Amari Hua Hin Golf Week, October 21 -27 2018. Go Golfing’s, managing director, Peter McCarthy said Hua Hin has emerged over the past few years as one of the world’s best golf destinations. 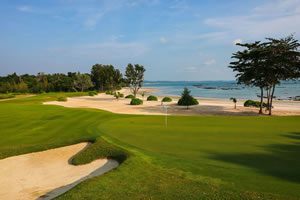 The Amari Hua Hin Golf Week, is to be held at four leading courses – Black Mountain, Banyan, Springfield a Jack Nicklaus Course & Sea Pines which boasts spectacular ocean views. Limited to only 100 players, this tournament will have offer a fun, relaxed and intimate experience. Accommodation will be at Amari Resort, Hua Hin. Packages are now available, with a complimentary upgrade to a Pool View for bookings made by May 15th. 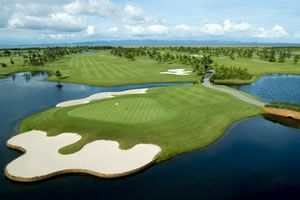 Pre and post golf tours in Thailand can also be booked. Golfasian Managing Director, Mark Siegel, is delighted with the new tournament concept and commented, “Hua Hin has been our most popular destinations for golf travellers and late October is one of the ideal times to visit. Golfers can expect pleasant weather and to be blessed with dry, sunny days”. Packages start from as little as USD 1,570 per person.